The tray does make it easier to move things around/clean up doesn't it. I've actually got two of these, one is dedicated to painting/lining/decaling and the other is for general modelling. I found that CAD wasn't too difficult to get my head around the basics, learning how to be efficient and what some of the more exotic things did took some more time though! Speaking of CAD, annoyingly, I'm locked out of my program at the moment due to a technical issue, but hopefully this will be sorted out tomorrow. Therefore, I thought I'd see about taking another wagon project forward. This is the NGS GWR Loriot kit masquerading as an LNER (NER) MAC L wagon. After adding the decals, I found some evidence that the underframe was probably black (I'd painted it grey) so I mixed up a dark wash and liberally applied it to darken things up down there. I'll have to go lightly when weathering the grey bits so that I don't lose the contrast. I've got a second one of these to finish but, annoying, the decal sheet only supplies 'MAC' decals for one wagon! 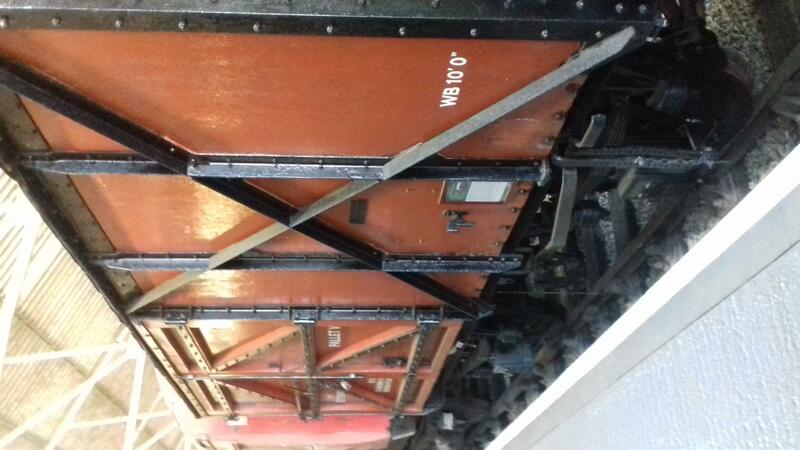 Yes, most wagons seem to get lighter over time, except the bits that get rustier/oiler. These dropped through the letter box today courtesy of the 2mm Association. 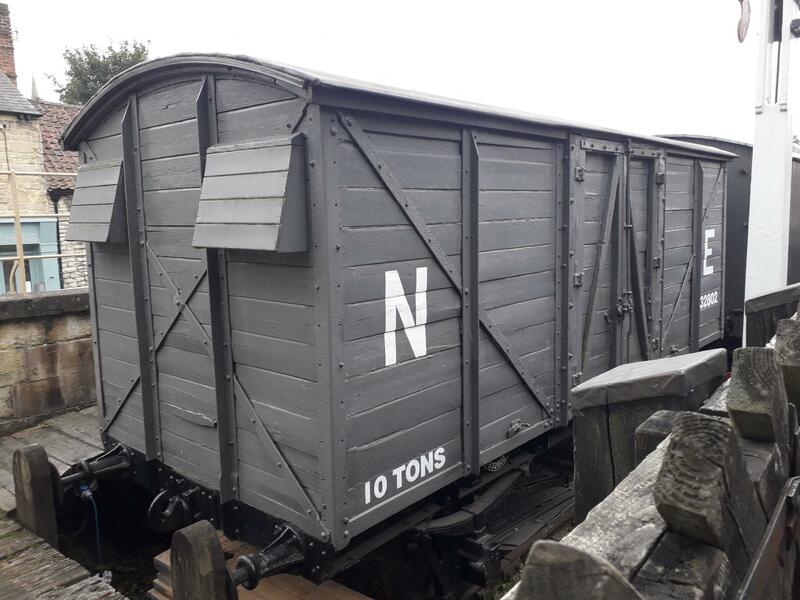 There are three NER hopper wagons and two GER cattle vans along with enough etched chassis to build three of each. 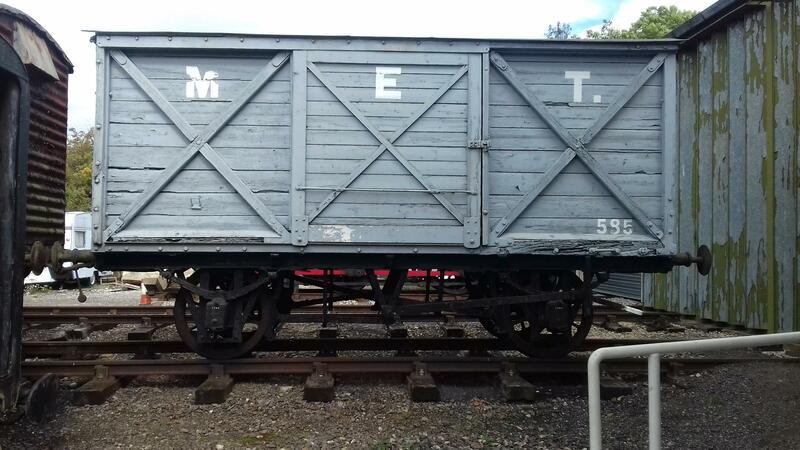 In the background is one built NER hopper wagon body (just to ensure that it all goes together properly you understand) and a built GER cattle wagon from a couple of years ago that has been waiting for its chassis! I'm over at another forum member's house tomorrow for a bit of a modelling day so one or two of these may (or may not) get built! I forgot to post an update on the mineral wagons built from the Peco 9' WB PO kit. Modelling the 1930's period, there isn't much I can get away with weathering to this extent so I've enjoyed the opportunity to make these into the unloved coal wagons that they were! The weathering was achieved using a couple of thin washes of Railmatch 'Roof Dirty' followed by some applications of Humbrol 'Soot' and 'Dark Earth' weathering powders. One of the NER hoppers is almost complete. Despite it's simple looks, it is a lot more complicated than it looked! Hopefully the second one will be better. I've straightened the bent step on the end as well now! Another great find was a nicely restored Palvan the same as the NGS kit (can a Mod reorient it for me I can't seem to do it!) oh and yes, metal frame and plywood Steve - quite correct! And lastly, a VEA, also at Quainton, the subject of a new RTR model via RevolutioN and formerly (before being air-braked) the Vanwide - also an NGS kit!. There were a few other nice finds too, I don't normally pay as much attention to rolling stock, glad I did this time. I think that Quainton has the smaller version of the MR outside frame van as well. The Palvan and VEA look very good too! I understand that Revolution isn't doing the Vanwide so that they don't undercut the NGS's sales. It's an old GER van. Apparently they were very long lived and were popular as stores vans once their revenue earning lives ended. This might explain why I found no less than three of these vans on the NYMR! Ok, one was a grounded body! I have to say that it has taken my fancy and I've got drawings for it already in one of my books! Now I just need to get back into a consistent frame of mind to clear things off and be willing to sit and CAD it up. 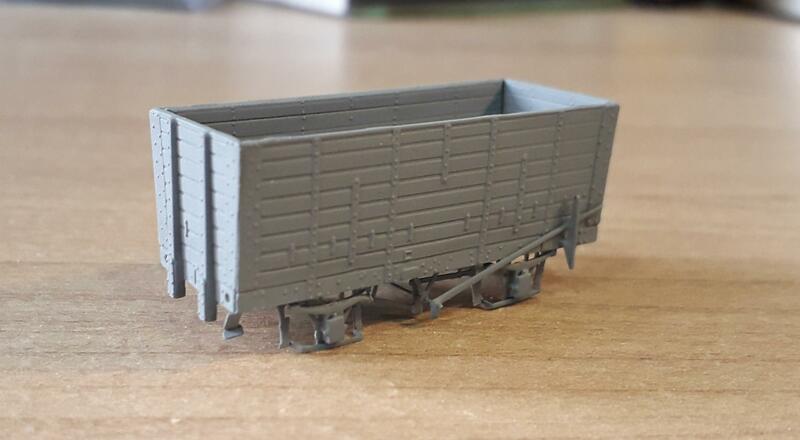 On a slightly more positive note, somebody donated an NGS LMS bogie bolster wagon kit (thanks Roy!). I was hoping that it would be sufficiently similar to the LNER Quint C bogie bolster to modify the kit. Alas, it has a few too many differences for me to do a conversion I'd be happy with and so I just built it instead! All in all an enjoyable hour or so. For some reason I decided to use butanone (purchased to build the Finetrax turnout kits) instead of my usual Tamiya solvent glue - you have to use it sparingly but my goodness, it doesn't half set up quickly! 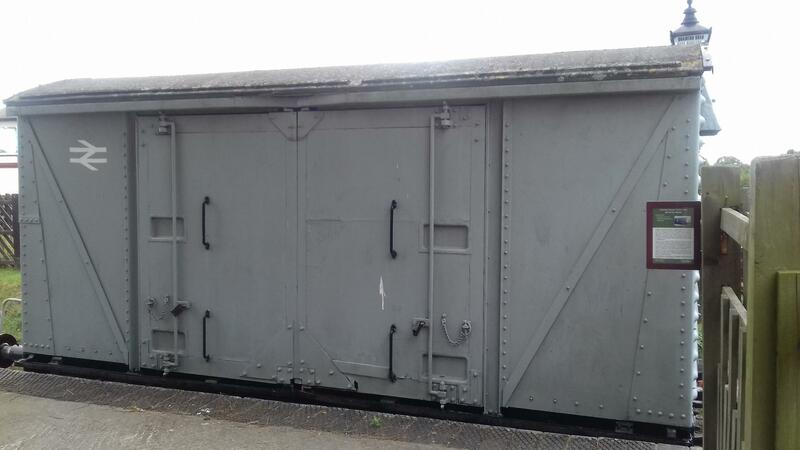 The LMS Bogie Bolster wagon has had some basic painting done. It's going to remain in this condition for a while as I need to save up to buy some LMS decals before I can weather it. I've got a train of these slowly coming together in BR Livery - 4 done, 3 on the bench and several scrappers that I might be able to salvage one good one from. One improvement (which I have bought the parts for but have yet to do) is to replace the buffers with turned brass ones - they are a bit thick and clunky as is, and fragile to damage. I also added coupling hooks, a bar linking the brake hand levers (as would be the case in real life) and bars across the underframe where they would have been. All this lifts the already decent kit a little further. I did thin the buffers down and give them a slight curve using sanding sticks, I'll see how well they last and I'll replace them if necessary (and as funds allow). Coupling hooks are something that I've been omitting recently from my fix rake stock as I've found they aren't that noticeable while I've been adding them to anything that is going to be shunted around (vac pipes on the other hand will be added as required but not applicable to this wagon). While this wagon is destine to be part of a fixed rake, maybe I should fit coupling hooks due to low flat bed. The bar linking the brake handles and truss rods should be added but I was in need of a few 'quick wins' for my sanity - it wouldn't be difficult to add now so I'll do that before applying the decals. One other detail that I'll be adding before weathering are the hoops that would hold the securing chains. These haven't been made yet but I figured that they'd be easier to paint off the model. Overall it is a very nice kit but with a few design choices that show its vintage. I still need to decide what I'm going to use as a load. I was originally thinking of using code 40 rails but I think I'd struggle to explain why the LNER was using an LMS wagon to transport rail! Some kind of girder made out of Plastruct might be just the ticket. I was hoping that I could use this kit to make a reasonable representation of an LNER 'Quint C' bogie bolster. Unfortunately, while it is around the right length, there are a few too many details in inaccessible places that would need to be removed. I'll have to design and 3D print a few when I've got the time and inclination. In between test printing and alterations to some other projects, I've been tackling some of the 2mm Association's etches to produce some Fox bogies. 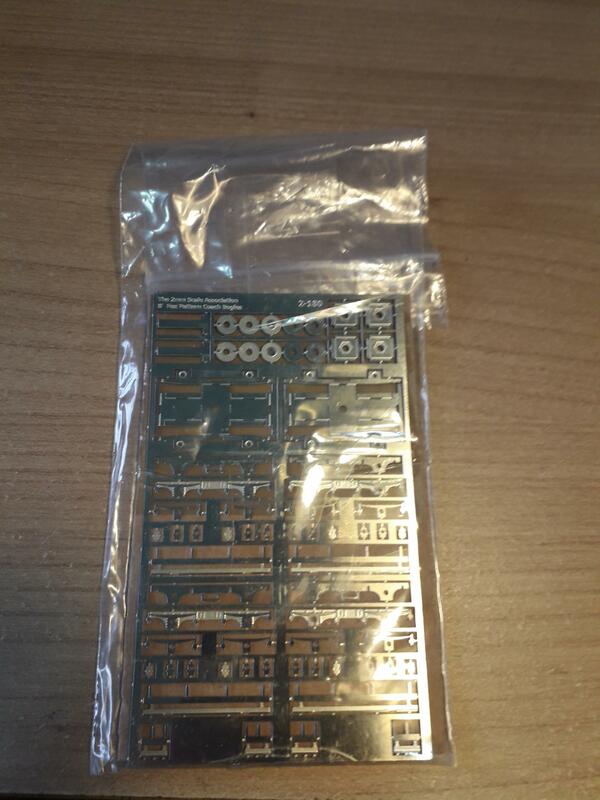 This is how the etch arrives, it'll need bearings and wheels to complete. Being an older design, the axle boxes are made up out of three separate layers that need to be carefully positioned and soldered into place. Newer designs have these in one piece to allow this tiny components to be folded up which does make life a little easier. 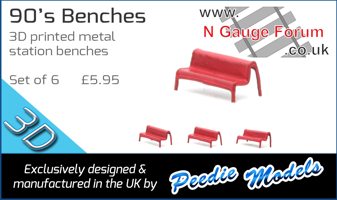 Below are the completed bogies with the 2mm Association's 7mm diameter coach wheelsets that have been turned to N gauge standards. Each bogie took about an hour and twenty minutes to build. I primarily used solder paste to put these together by did use a couple of tiny amounts of 145 degree solder to tack the ends of the cross members to the bogie sides once I'd folded everything up. After that is was a scrub using cream cleaner followed by a wash and a then a soaking an a solution of Cillit Bang (about 25% bang to 75% water) for about half an hour before giving the bogies a final wash. Once dry, I test fitted the wheels to ensure everything was level and ran smoothly. You may have noticed that there are only three bogies in the picture and there is a reason for this. An ex-GNR articulated pair which I've been working on one and off since the beginning of the year. Originally these were built as vestibule six wheelers but were rebuilt by Gresley into articulated pairs. Four of these set were created but, sadly gone before nationalisation. I've still got to design the underframes as I need to work out how I'm going to articulate them (I'd like some kind of close coupling cam system) and I needed the bogies made up to be able to take measurements (as well as to get a bit of inspiration by placing the bodies on top of them!). Looks like another super model not long to appear from the Atso Laboratory! Thanks Mick, this one is very much an 'as and when' project for myself. I'll be happy if I can call it complete sometime in January - if it is before that would be great!